INCHEON, Dec. 21 (Yonhap) — The South Korean members of the unified Korean men’s handball team departed Friday for Germany, where they will compete alongside North Koreans at the upcoming world championships. 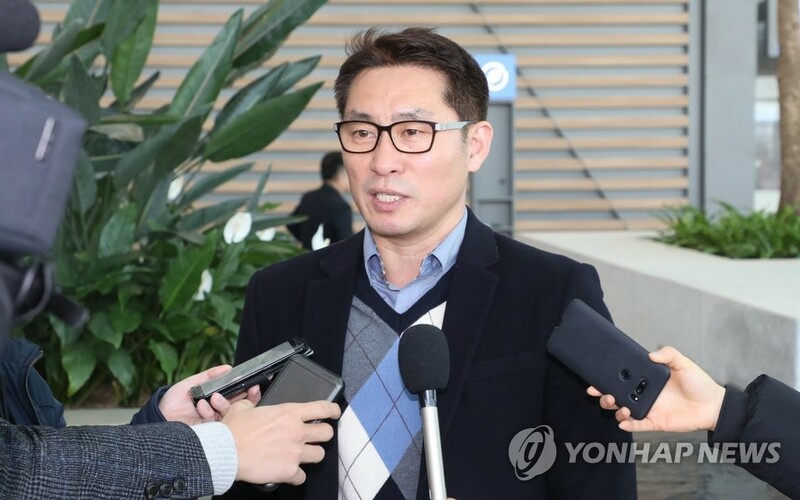 Sixteen South Korean players, and head coach Cho Young-shin, headed to Berlin, where they will meet the North Korean delegation, comprised of four players and three officials, to prepare for the 2019 International Handball Federation (IHF) World Men’s Handball Championship. The biannual tournament will be co-hosted by Germany and Denmark from Jan. 10 to 27. The rosters for the 24-team tournament are set at 16 players each, but the IHF allowed the pan-Korean team to add four players and compete with an expanded roster. Korea is in Group A with Germany (world No. 1), Russia (No. 4), France (No. 5), Serbia (No. 6) and Brazil (No. 27). South Korea is No. 19 and North Korea isn’t ranked. The joint team will face host Germany in the tournament opener on Jan. 10 in Berlin. After round robin action, the top three teams from each of the four groups will advance to the main round. Those 12 teams will then be divided into two groups of six, and the top two from each will move on to the semifinals. Head coach Cho said even if his side face global handball powerhouses from the group stage, they will not give up. Cho said he will try his best to make a cohesive team through which the players from the South and the North can create positive energy. South Korean captain Jung Su-young said the players are determined to perform as a unified team.